Scout Media, a men's sports and lifestyle digital publisher, has appointed Ross Levinsohn to executive chairman, the company's CEO James Heckman announced. Levinsohn served as CEO of Guggenheim Digital Media, which has recently been renamed Guggenheim Entertainment Media, for 18 months before exiting in June. Adweek is owned by affiliates of Guggenheim Partners. The veteran executive is also known for his Yahoo tenure (2010-12) as well as six years as president of Fox Interactive Media during the early 2000s. The new endeavor marks the fourth occasion in which Heckman and Levinsohn have worked together. Heckman most recently collaborated with Levinsohn at Yahoo and suggested he intends to leverage his old colleague's ad sales chops. "We believe the choices for major brands to connect efficiently with men are few and expensive," Heckman said in a statement. "Scout operates in a space this team is quite familiar with and so we plan to compete aggressively. Major brands can count on a quality product, as well as a 100 percent brand-enhancing environment. 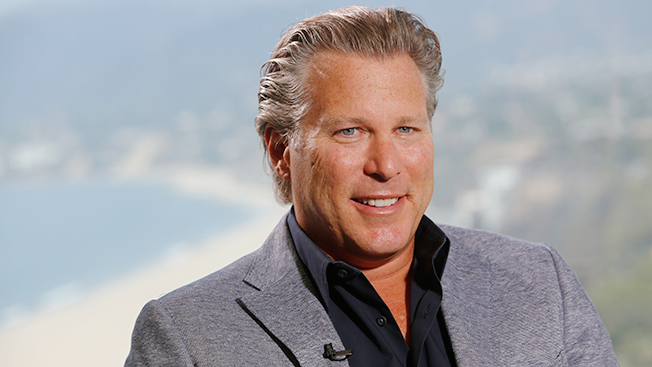 Ross Levinsohn will provide key leadership to ensure we make that connection." Heckman is backed by Clear Channel CEO Bob Pittman’s venture fund, the Pilot Group, which acquired Scout from Fox Sports in 2013. In addition, Scout has merged with Pittman’s North American Membership Group, which publishes men-focused titles such as North American Hunter and PGA Tours. Thanks to the merger, Scout is effectively rebooting next month as a company that entails 300 Web destinations, 38 magazines and three cable television programs. Levinsohn said his role doesn't involve full-time duties, but he'll advise in concerns to Scout operations. "[Heckman] and I have been great partners for almost a decade, and we work through key issues on a day-to-day basis," he said. "This can be a big company quickly." Pittman added, "I'm truly excited to see this great team coming together and the terrific progress they're making in building this digital company." Levinsohn also has been named to the Scout board of directors.